The article presents the results of an experimental study of magnetic-impulse processing effect on the wear of steel samples used for manufacturing cutting tools. Particular attention is paid to the methodological aspect of wear simulation in cutting process. Scientific basics of tribology are used, which provide maximum conformity with the actual cutting conditions in terms of wear and contact parameters. The description of experimental conditions and specific experimental methods are presented. They are used for obtaining new data on the effect of magnetic treatment on the wear of steels under study. Varying one of the factors of the magnetic field, that is the number of impulses, it’s possible to find out its significant effect on the wear value along with specifying the optimal number of impulses. A new interpretation of the reduction wear effect is presented. It is based on the adhesion-resistant surface secondary structure of a multiple-electron system. Its safety features are realized by the normalized energy distribution of the residual magnetic field and dissipated energy of tribocontact phenomena. Keywords: magnetic treatment, sample, friction, wear, steel, impulse, tribosystem. Zelinskiy V.V., Borisova E.A. Identification of the predominant species and causes wear of cutting tools // Engineering and Life, 2012, № 2. – P. 55-60. 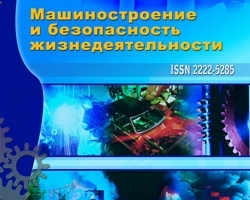 Borisova E.A., Experimental estimation of magnetic treatment effect on tool steels wear resistance, №3 (17) 2013, Zelinskiy V.V.